(6091, Oklahoma Historical Society Photograph Collection, OHS). Charles N. Haskell was the son of George R. and Jane H. Reeves Haskell. The state of Oklahoma's first governor was born on March 13, 1860, in West Leipsic, Putnam County, Ohio. The Haskell family descended from early 1600s Massachusetts settlers. After his father died of pneumonia on January 13, 1863, his mother worked for the local Methodist church as a bell ringer and custodian in order to support her family. Charles was the second youngest of six, having three sisters and two brothers. His education was provided through the local schools. At seventeen he began teaching in the area and also studying law in his spare time. Admitted to the Ohio bar in 1880, he moved to Ottawa, Ohio, and the following year he began to practice law. During his time there he became interested in construction and building, especially of railroads. Haskell is known to have also lived in New York City for short periods of time, and before moving to Muskogee, he and his family would go to San Antonio, Texas, during the summer. It was not until 1901 that he moved to Muskogee, Oklahoma, after being approached on one of his southern travels by Judge John R. Thomas about acquiring a rail line from Fayetteville, Arkansas, to Muskogee. Working in conjunction with the town businessmen, Haskell turned the small town into a small city of twenty-five thousand inhabitants. Muskogee also boasted four competing rail lines, a hotel, and an opera house. Active in local politics, he served as a delegate to the Sequoyah Constitutional Convention in 1905, and he was elected vice president. The next year he was chosen as a delegate to the Constitutional Convention in Guthrie and was then elected majority floor leader of the Democratic Party. At the convention he stood out as one of the most important leaders for Oklahoma, especially in helping to draw up the state constitution. Most notable was his push to draw up a separate prohibition article in conjunction, with but separate from, the actual constitution. His fame at the convention allowed him to win the office of governor in 1907 by more than thirty thousand votes. As the first governor he carefully controlled the banking law in Oklahoma, as well as reformed prison laws. However, he is remembered most for moving the state capital from Guthrie to Oklahoma City, an action that brought about considerable controversy. At the 1908 Democratic National Convention, Haskell was elected treasurer of the Democratic Party and helped push William Jennings Bryan's nomination for president. Haskell's other significant contributions while governor included establishing the Oklahoma Geological Survey, the Oklahoma School for the Blind, the Oklahoma College for Women, and the State Department of Public Health. In addition, he helped to create the Oklahoma Criminal Court of Appeals in 1908. He was succeeded in 1911 by Lee Cruce after many accusations about bribery by large corporations and misappropriated funds. 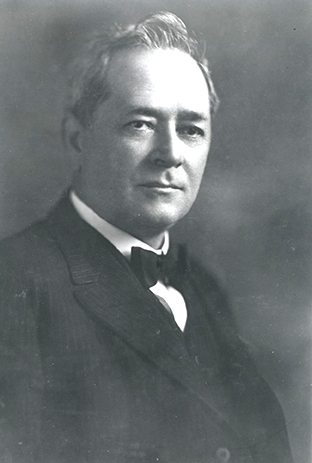 Haskell ran for the U.S. Senate in 1912, losing to Thomas P. Gore. Both the town Haskell (formerly Sawokla) and Haskell County, Oklahoma, bear his name in honor and remembrance of his service as governor. Haskell returned to private business. It is said that he made and lost many fortunes before he died. He was married twice, first to Lucie Pomeroy of Ottawa, Ohio, in 1881. This marriage produced Norman, Murray, and Lucie. However, Lucie Pomeroy died in 1888. His second marriage to Lillie Elizabeth Gallup in 1889 produced three more children, Frances, Jane, and Joseph (Joe). On July 5, 1933, Charles N. Haskell died of pneumonia resulting from complications of a stroke he had suffered in March 1933. "Charles Nathaniel Haskell," Dictionary of American Biography, Supp. 1 (New York: Charles Scribner's Sons, 1944). "Charles Nathaniel Haskell," The National Cyclopaedia of American Biography, Vol. 14 (New York: James T. White & Company, 1910). James H. Howard II, "Charles Nathaniel Haskell, Governor of Oklahoma, 1907–1911," in Oklahoma's Governors, 1907–1929: Turbulent Politics, ed. Leroy H. Fischer (Oklahoma City: Oklahoma Historical Society, 1981). James R. Scales and Danney Goble, Oklahoma Politics: A History (Norman: University of Oklahoma Press, 1982). J. J. Compton, "Haskell, Charles Nathaniel," The Encyclopedia of Oklahoma History and Culture, https://www.okhistory.org/publications/enc/entry.php?entry=HA048.